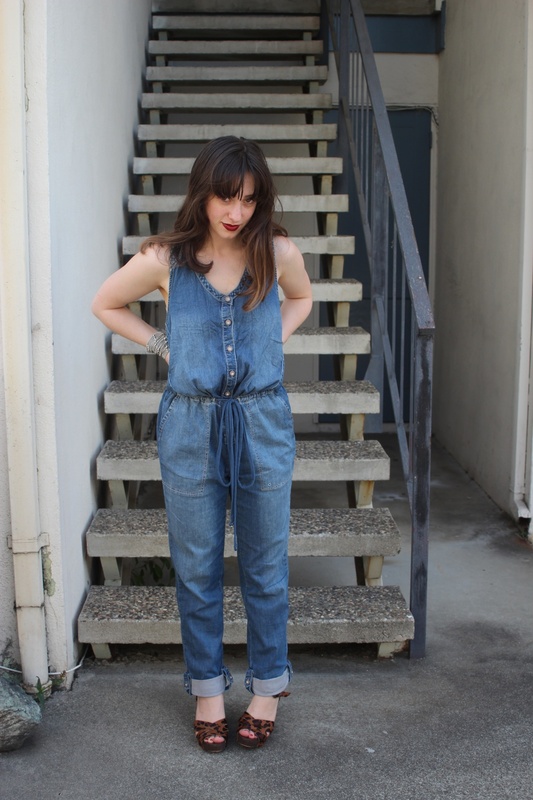 Return of the 90s is bigger than ever, and I simply cannot resist the opportunity to live my life in a denim onesie. For this outfit, I like the way the taupe lace of my bralette catches the eyelet detail of my overalls. While I rarely play the matchy-matchy game, this strategy actually worked out pretty well. Plus, ribriffs were seen everywhere on the runway--from Alexander Wang to Erdem. With all the denim onesie-ing going on, it is pretty safe to say that the Dream of the 90s is currently residing in my pants--or rather my overalls.